The Creating Wealth seminar has just commenced for the year, and Jason Hartman has several tips to offer listeners based on what was covered at the event. 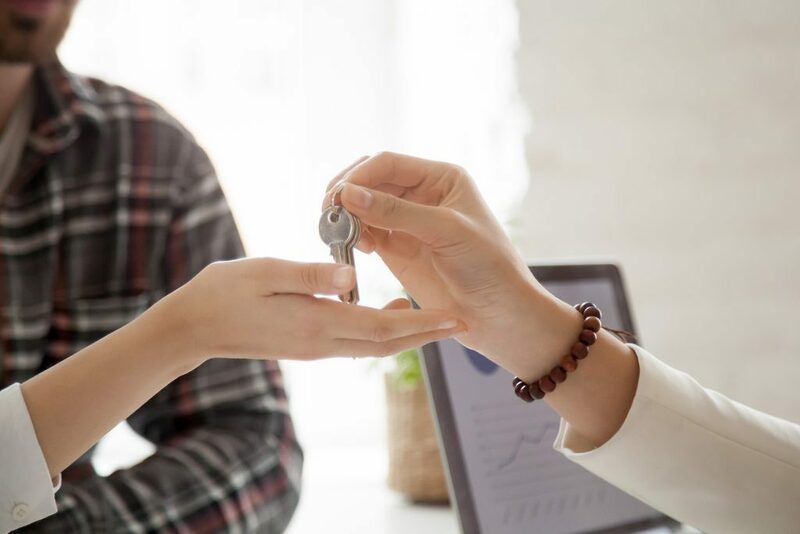 If you’re wondering about the best ways to keep your tenants long-term, Hartman and his mother Joyce covered several factors on creating long term tenants and long term renting, from pet rents to replacing surrounding fences. Then, John Tamny visited the podcast to discuss his latest book, as well as why he believes that the Fed does not have nearly as much power as we think. He mentioned their policies and the backward effect they have in today’s world, as well as why the demographics problem in Japan doesn’t have as much bearing on the country’s development as we once thought. After finishing the Creating Wealth seminar the day prior to the podcast, Jason Hartman thanks the guests for coming and mentions that he has received a lot of positive feedback. Each Creating Wealth seminar follows the same structure, but each one is still different and a unique experience. He adds that he’s glad the guests have enjoyed their time so far and explains that he surveyed the audience about the podcast where about 25% of attendees said they’ve listened to at least 500 episodes. One person in the room, Mike, has listened to every episode. If you’ve also listened to every episode, chime in at www.jasonhartman.com/ask. Hartman explains that he recently got to view the Barnes Collection, a private collection of impressionist art. There is a big controversy surrounding the gallery composed of several billion dollars’ worths of art, and there’s a documentary about it on Netflix entitled The Art of the Steal. Hartman notes that he watched it recently and wanted to see the collection behind the film. He also states that he has a fantastic guest in lone for today who is going to talk about new ideas as to how to solve recessions and cycles in the economy. He has written a book about the Fed amongst other books, and he’s sure that listeners are really going to like this guest. Before getting to the featured segment, Hartman reflects on the Creating Wealth seminar with a couple of the attendees, Nate, and Hartman’s mother Joyce. Joyce attended the seminar and spoke about self-management and tenant turnovers. She explained how tenant turnovers were expensive and how it was ideal to have opportunities for creating long term tenants, but not so long that it signifies that your rent might be too low. Joyce advises raising rent prices until the demand falls off. Nate states that he had a great time and thanks Hartman for having him at the event. He explains that he thought he knew a lot about real estate, but the seminar showed him that there was a lot that he doesn’t know. What he learned inspired him to look into markets beyond where he lives and invest further away from home for better returns. Hartman adds that Nate will also be attending the Venture Alliance trip in New York City during Memorial Day Weekend and asks if he has any thoughts on it. Nate answers that he’s very excited to meet some of the amazing people that are going to be in attendance. He’s interested in both listening to and learning from big achievers in the field of real estate investing. Hartman explains that his videographer, Ben, also attended the event to film, and had a few people on camera to talk about the event. Ben works for Agora Financial, and Hartman adds that he has had several Agora guests on the show. He likes the analysis they present but does not always agree with their solutions. Bill Bonner is one guest, who presents fascinating writing, and Hartman hopes to have him back on the show soon. Joyce states that this was her first time attending one of the Creating Wealth seminars and that she enjoyed herself while she attended. She liked hearing from the providers in Ohio and Florida, as well as meeting the attendees from Philadelphia. Hartman adds that there was a good turnout from New Hampshire and Minnesota as well. It was the first event that took place in the Northeastern part of the US, save for one of the Venture Alliance meetings that were held in Newport, Rhode Island. This event was the first public Northeastern event. He states that in a past episode, Joyce shared a story about her longest tenant, one she had since 1989. She has had this tenant since right around the time that the Cold War ended, and by comparison, Hartman’s longest tenant has been in one of his properties for nine years. Coincidentally, or perhaps not, this is one of the properties he self-managed, and he adds that some of the properties with managers have a higher turnover rate. When asked about her thoughts on tenant turnover and self-management, Joyce explains that it’s more profitable to keep your tenants where they are and start creating long term tenants, and the longer they stay, the more they treat your home like their own home. This means that there are far fewer times that the tenant will bother the landlord for tiny items that need to be fixed, and instead, they will perform maintenance on their own. She recommends creating tenants long terms and advises investors not to forget to raise rents each year, even if it is only a $25 increase. It trains the tenant to expect rent increases. Hartman shares that one philosophy over the years is to raise rent depending on the price of the property. If it’s a $1,000 property, and you raise the rent by $25-$50, it’s not so much that it’s worth the tenant moving away. It increases yield but won’t push the tenant out. Joyce adds that she usually figures increases at 4%, but if a tenant is at the maximum rent for their area, simply increasing the rent by $25 is sufficient. She clarifies that she wants her tenants to expect the increase so that they’re not angry or surprised by it. When asked if she charges pet rent, as Hartman recommends, Joyce says that she does. She charges around $25-$35 for pets but does not currently have any tenants with pets. Hartman recalls having a tenant in the past who had two dogs on the property and did not inform him about it. A neighbor called and explained the situation to him, and when he presented the tenant with pet rent, he was happy to back-pay it. He adds that as everyone knows, a landlord can evict a tenant for breaking the covenants of the lease. Some landlords are not aware that this goes beyond the payment of rent. He states that he had one client who thought that the tenant might be doing something wrong on the property, which are covenants of the lease. If the tenant violates the pet rules or uses drugs on the property or has frequent loud parties that involve the police being called, those are each violating the covenant of the lease. Landlords can evict or sanction for these reasons, he says. You have more power than you think you have. He states that he had a property in Texas at one time that needed a new fence, as the fence that was installed was fourteen years old. Hartman’s mother informed him that the neighbors needed to share the price of a new fence, so the property manager got one of the three neighbors who shared the fence to contribute $644 to the cost. Hartman matched the sum, and then replaced only that third of the fence, as Joyce suggested. It was done in an effort to motivate the other neighbors to contribute, and they’re receiving the benefit from the new fence. There are still a couple of available slots for the Venture Alliance trip in New York City for Memorial Day weekend for listeners who are interested. Visit www.venturealliancemastermind.com to learn about the group, and if you’d like to attend, go to www.jasonhartman.com where you can attend the event once as a guest. Hartman welcomes to the show John Tamny, Director for the Center for Economic Freedom, Editor of Real Clear Markets, and author of Who Needs the Fed? What Taylor Swift, Uber, and Robots Tell Us About Money, Credit, and Why We Should Abolish America’s Central Bank as well as his newest book, The End of Work. To explain the reference to Taylor Swift in his book, Tamny explains that several years ago, his wife and her friends attended a Taylor Swift concert in Washington DC. When the concert was over, there was a rush for patrons to get home. 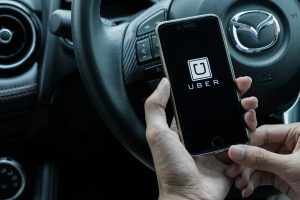 With the metro system backed up for the following two hours, Uber drivers showed up and charged four times the going rate for rides. Because of this, Tamny’s wife was home in 30 minutes. He states that if you take the Fed seriously, its interest rates are backward. In economic distress, the Fed pushes their target rate to zero, which is like Uber setting their prices at their lowest during mass demand. The surge pricing is what brought the drivers to the stadium, but the Fed tries to push credit down when people need it to be pushed up for savers to come in. Hartman agrees that when we look at the supply and demand curve in any market, it makes sense. The Fed seems to view it by thinking that they need to pump money into the economy, and since they play by fiat rather than the rules, they create money out of thin air and adjust the credit and money supply by lowering reserve ratios. They don’t play by the same rules as Uber. Tamny states that the Fed can do a lot, but they can’t change reality, and they can’t change credit. Hartman states that the Fed can certainly distort credit for a time. Tamny adds that the Fed’s ability to distort anything is a bit overstated. When you borrow money, you are not actually borrowing dollars. Instead, you’re borrowing access to what you can get with it. The Fed can’t change what you’re seeking when you get credit, he says. They can print dollars, but they can’t make it to where people will release their trucks and tractors to people who are in need of resources. They can’t pump money into the economy, either. Tamny states that they have tried, but then tens of millions of dollars left the US on a daily basis. If the Fed were to dump millions of dollars into Baltimore, it would be gone right away, he explains. It would leave as quickly as it arrived because there is no economic growth taking place. If they drained banks in Silicon Valley, it wouldn’t mean anything. People around the world are lined up for exposure to the area. According to Tamny, we overstate the Fed’s importance. While he’d love to see it end, he’s confident that even if it doesn’t the market forces are ending it for us. Hartman explains that the Ivory Tower theory and practice are two different things but adds that there’s no doubt that the Fed changing interest rates is influencing markets. Over the past several years in both housing and stock, the money is flowing. It’s finding places to go. He likens this to a person pumping himself full of caffeine, where the crash is going to be present, but the caffeine will stimulate for a while. Tamny questions that if quantitative easing powers market forward, what has happened in Japan? Hartman responds that Japan has a different issue and that the method doesn’t work for everyone else as well as it does for the US, because we have the reserve currency. Japan has a demographics problem, he says. They have almost no immigration and are not having children. Tamny answers that this demographics problem is exponentially better than just after WWII when the country was literally destroyed. That was truly a demographics problem, and afterward, the economy boomed. He asks if the Fed has kept interest rates low so that there’s a flight into yield, why did it not happen in Japan? The country is still a major economic force. He states that the Fed created $4 trillion and had to find itself somewhere, but truly, it borrowed $4 trillion from banks. The Fed uniquely pumped up stock and ignored the times when they couldn’t. There are buyers and sellers, and markets price in the future, Tamny says. The quantitative easing story is easy to discredit. He explains that he has presented the argument to many major investors and no one questions it. Hartman explains that people are creatures of instant gratification. The countries who hold our debt know that we’re destroying it with inflation. Tamny mentions that if it’s a small-time horizon, it shows up in 30-year treasuries. He states that he has been to China several times and their government is still pointing out that the US is not a rich country. Other countries are not involved in some deal where they’re buying what’s been deemed as worthless US treasuries. He adds that the US Treasury is backed by the most productive people on Earth. The reality is, the ten most valuable companies in the world are based in this country. We attract investment, and people risk their lives to get to the US. Hartman mentions that he isn’t an expert regarding Japan after WWII but knows that we were rebuilding and getting into a baby boom, and the Japanese automotive boom came as well. Tamny explains that the war was a much bigger demographic difficulty. The answer is not to go to war and have your country destroyed so that you have to rebuild it, he says. It happened, but it did not improve Japan. Had the war not happened in the first place, both of our countries would have been much better off than they are today. The war did not save Japan. He also states that, in reference to Japan’s low birth rates, the highest birth rates in the world go to the poorest countries. The demographic argument excites people, but Japan is definitely not a declining country. Regarding the Fed and recessionary periods, Tamny states that credit is always going to find its level. The last thing we should want to do is artificially lower the cost of it. Credit now is so expensive that in Silicon Valley, if you’re going to open a business you’re going to need to give up a big portion of it to a venture capitalist, as well as employees via the stock market. In Hollywood, even the best movie producers are turned down for loans 90% of the time. In the real economy, w act like the Fed doesn’t exist. In the real economy, rates are set by the markets. If the Fed was as powerful as we think it is, we would be a very poor country. Hartman states that the Fed thinks we need to pump money into the economy and we need to artificially make the rates lower and explains that Tamny says we need to let the market decide. Tamny clarifies that this is what’s happening. When a recession hits, is credit easy? No, the surge prices take place. Nobody borrows money at zero percent. Even Apple, as powerful as it is, pays 3% to borrow. Small businesses are still going to be shut out during a recession. In the real world, Tamny says, credit costs what it costs. The Fed can pump billions into Baltimore tomorrow and it will always flow to its highest use. If the Fed was as powerful as we think they are, Baltimore would be fixed tomorrow, but they can’t change reality.